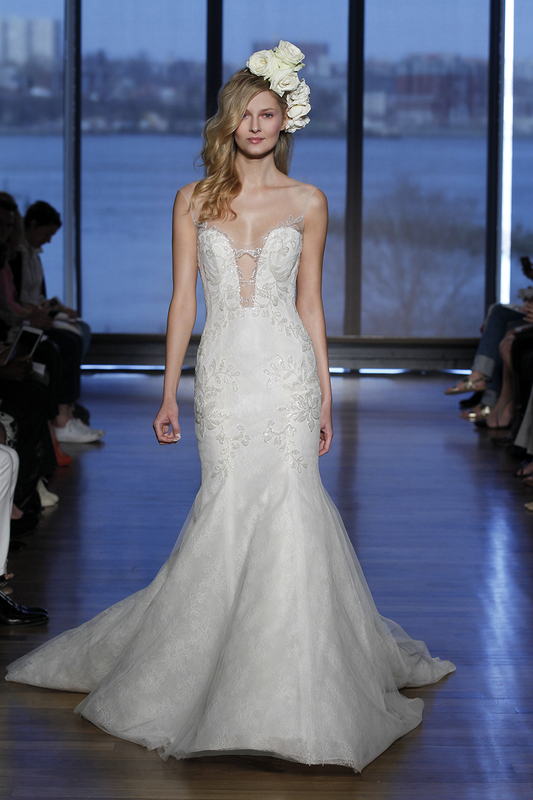 Our 3 personal favourites are Pronovias, Ines di Santo and Vera Wang! Their wedding dresses simply look amazing! With 163 stores and more than 4.000 sales points in 90 countries, the Spanish fashion company Pronovias is one of the international leaders in the sector of bridal fashion. Pronovias’ wedding dresses are ususally characterized by wide and cascading trains combined with subtly tucked pockets. Supermodels like Doutzen Kroes or Miranda Kerr are just two examples of a number of celebrities who have already worn its dresses. So if you are still looking for an exceptional wedding dress, you absolutely have to check out Pronovias’ new collection for 2015! Ines di Santo is a wedding dress designer from Canada. Together with her daughter Veronica, she designs luxurious wedding dresses for brides from all over the world. Following her motto “your wedding day is your chance to have your red carpet moment, and I’m here to help you look and feel amazing” – each of her dresses has a special and very personal touch. Sophisticated drama, feminine detailing and a modern approach to bridal dresses – that is what Vera Wang’s wedding fashion is famous for. In 1990, she opened her first salon in New York – today, her collection is popular with brides worldwide. The two British designers Georgina Chapman and Keren Craig established the fashion company Marchesa in 2004. Based in New York, their extravagant and eccentric fashion collections are available world-wide. Fresh, lifely and confident: the wedding dresses of Hayley Paige combine femininity with a bit of edginess. Each of her dresses has a matchless charisma and – given a personal name – a very unique spirit. Carolina Herrera is a Venezuelan – American fashion designer. Her dresses are known to be stylish and without lots of fuss at the same time. On her list of clients you find a number of celebrities such as the first ladies Jacqueline Kennedy or Michelle Obama. Jenny Packham is one of UK’s most successful fashion brands on the international market. Her distinctive signature contributed a lot to the bridal fashion industry. Her dresses are worn by red carpet stars like Angelina Jolie or Cameron Diaz. 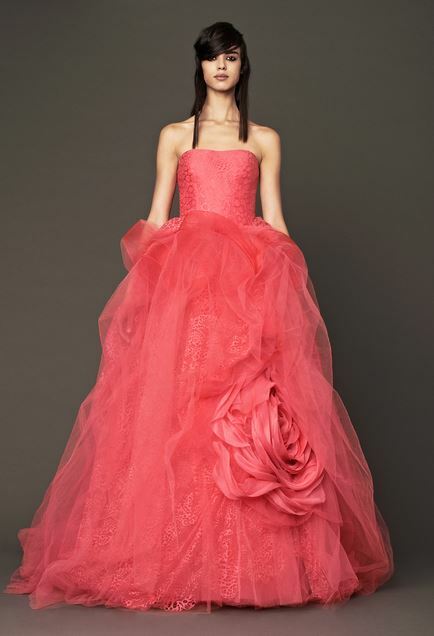 Combining femininity, allure and glamour, Monique Lhuillier’s dresses are known for their sophisticated luxury. Born in the Philippines, Monique Lhuillier now lives in Los Angeles and dresses bridals all over the globe. All about the details: the Allure Bridal collection combines floral appliqués with dramatic backs and perfect draping. Following its conviction that “brides should feel nothing less than gorgeous on their wedding day”, Allure Bridals designs wedding dresses that are known for their excellence and sophistication. Maggie Sottero Designs was established in 1997 and is now one of the most recognized bridal gown manufacturers in the world. Its dresses are popular because of their immaculate style and incomparable fit, combined with affordable prices.